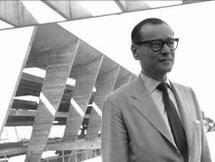 Mart Stam (August 5, 1899 – February 21, 1986) was a Dutch architect, urban planner, and furniture designer. Stam was extraordinarily well-connected, and his career intersects with important moments in the history of 20th-century European architecture, including chair design at the Bauhaus, the Weissenhof Estate, the Van Nelle Factory, an important modernist landmark building in Rotterdam, buildings for Ernst May's New Frankfurt housing project then to Russia with the idealistic May Brigade, to postwar reconstruction in Germany. His style of design has been classified as New Objectivity, an art movement formed during the depression in 1920's Germany, as a counter-movement and an out growth of Expressionism. Martinus Adrianus Stam was born in Purmerend, The Netherlands. Stam began working as a draftsman with an architectural firm in Rotterdam. He boldly stated between his qualification and first career that "We have to change the world." The architectural firm was run by the architect Granpré Molière. Molière was a traditionalist, and had a different style of design to Stam. He was imprisoned in 1920 for refusing to serve in the military, something which was compulsory in the Netherlands at that time. Fortunately, he was released in 1922. Stam had moved to Berlin by the end of 1922, There he began to develop his New Objectivity style. His first major work in Berlin was under prominent architect Max Taut. Stam was assigned to design a variety of buildings across Germany, notably assisting Taut in the design of the German Trade Union Federation Building, Düsseldorf. During this time, he also worked with Russian avant-garde architect El Lissitzky. The pair's most striking design was the Wolkenbügel, or cloud iron, a t-shaped skyscraper supported on 3 metal framed columns. Although never built, the building was a vivid contrast to America's vertical building style, as the building only rose up a relatively modest height then expanded horizontally over an intersection so make better use of space. An illustration of it appeared on the front cover of Adolf Behne's book, Der Moderne Zweckbau, and articles on it written by Lissitzky appeared in an issue journal of ASNOVA, the Association of New Architects and in the German art journal Das Kunstblatt. He co-founded the magazine ABC Beitrage zum Bauen with architect Hans Schmidt, future Bauhaus director Hannes Meyer and El Lissitzky. Stam is also credited for at least part of the design of the Van Nelle Factory in Rotterdam. This coffee and tea factory is still a powerful example of early modernist industrial architecture, recently rehabilitated into offices. After moving to Berlin, Stam devised a steel-tubing cantilever chair, using lengths of standard gas pipe and standard pipe joint fittings. New research indicates that Stam was inspired by a cantilever tubular steel seat seen installed in a 1926 Tatra T12 two-door saloon car. Ludwig Mies van der Rohe became aware of Stam's work on the chair during planning for the Weissenhof Siedlung and mentioned it to Marcel Breuer at the Bauhaus. This led almost immediately to variations on the cantilevered tubular-steel chair theme by both Mies van der Rohe and Marcel Breuer, and began an entire genre of chair design. In the late 1920s, Breuer and Stam were involved in a patent lawsuit in German courts, both claiming to be the inventor of the basic cantilever chair design principle. Stam won the lawsuit, and, since that time, specific Breuer chair designs have often been erroneously attributed to Stam. In the United States, Breuer assigned the rights to his designs to Knoll, and for that reason it is possible to find the identical chair attributed to Stam in Europe and to Breuer in the U.S.
Stam contributed a house to the 1927 Weissenhof Estate, the permanent housing project developed and presented by the exhibition Die Wohnung, organized by the Deutscher Werkbund in Stuttgart. 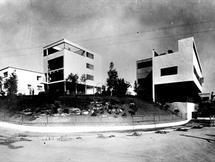 This put him in the company of Le Corbusier, Peter Behrens, Bruno Taut, Hans Poelzig, and Walter Gropius, and the exhibition had as many as 20,000 visitors a day. In 1927 he became a founding member, with Gerrit Rietveld and Hendrik Petrus Berlage, of the Congrès Internationaux d`Architecture Moderne (CIAM). In the late 1920s Stam was part of the team at the New Frankfurt project. In 1930 Stam became one of the 20 architects and urban planners organized by Frankfurt city planner Ernst May who traveled together to the Soviet Union to create a string of new Stalinist cities, including Magnitogorsk. The May Brigade included Austrian architect Margarete Schütte-Lihotzky, her husband Wilhelm Schütte, Arthur Korn, Erich Mauthner and Hans Schmidt. Stam moved to planning activities in Makeyevka in Ukraine in 1932, then to Orsk, with his friend Hans Schmidt (again) and with Bauhaus student and future wife Lotte Beese, then to the copper-mining Soviet city of Balgash. Stam returned to the Netherlands in 1934. Stam was later named director of the Institute of Industrial Art in the Netherlands. From 1948 to 1952 he moved to postwar Germany, with its major reconstruction projects. In 1948 he took a professorship at the Akademie der Bildenden Künste Dresden and began advocating a modern, strict structure for the heavily destroyed urban landscape, a plan which most of the citizens rejected as an "all-out attack on the identity of the city", and which would have obliterated most of the remaining landmarks. 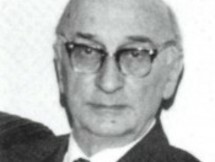 In 1950 Stam became director of the Advanced Institute of Art in Berlin. Returning to Amsterdam in 1953, Stam and his wife moved to Switzerland in about 1966 and withdrew from public view. He died, aged 86, in Zürich.